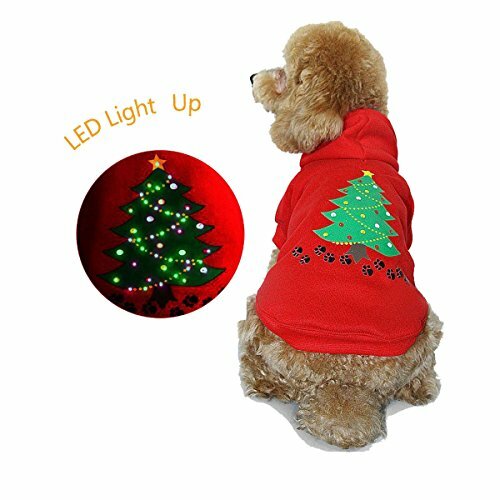 Looking for a Dog Christmas Sweater? You’re in the Right Place! Let’s face it – Christmas is around the corner whether you like it or not! 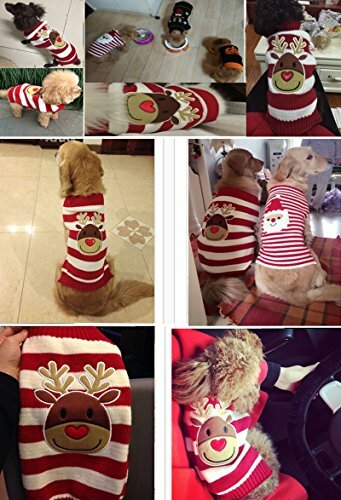 And if you’re in the market for dog Christmas apparel, you’re in luck! We love dogs here at Board and Life – we both grew up with dogs (Bruce with a Rottweiler and Lisa with a Jack Russell Terrier mix). Currently, we don’t have a dog of our own but Bruce’s sister has a Golden Doodle so we often get to dog sit! 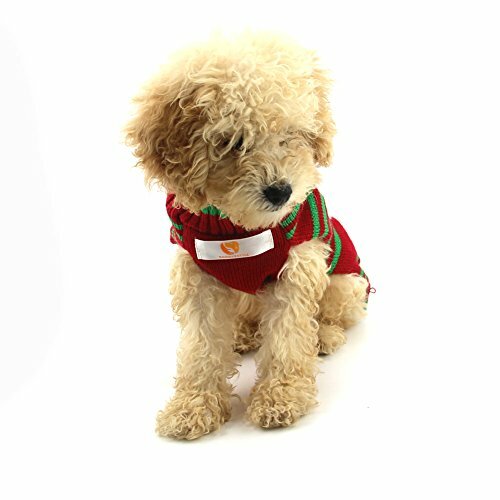 Buying dog clothes – sweaters especially – can be tricky since sizes never fit the same way on all dogs, let alone on dogs in the same breed! You’d think most large dogs or small dogs are all built the same but every dog and every product is different. 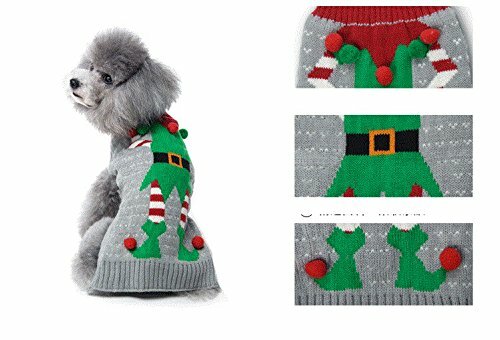 So, to help you order that awesome Christmas sweater purchase, we’ve put together a dog Christmas sweater buying guide. 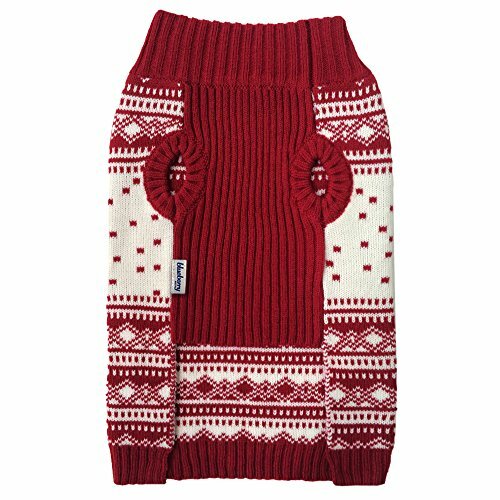 Sweaters also make a great gift – you could buy matching Christmas sweaters for the dog and the owner! But honestly, the best designs and sizes DO go fast so don’t wait too long to order. 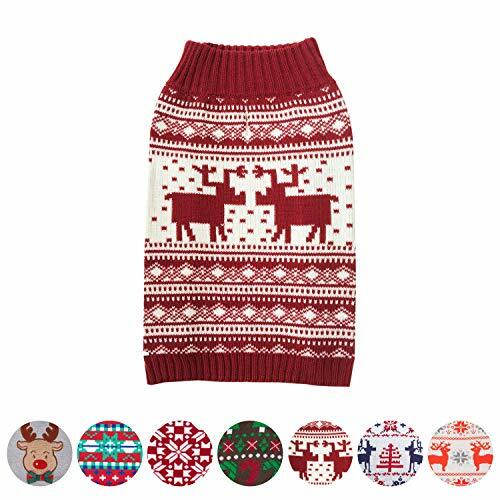 So if you want, head right through to where you can find top-rated Christmas sweaters for dogs. Ready to go? 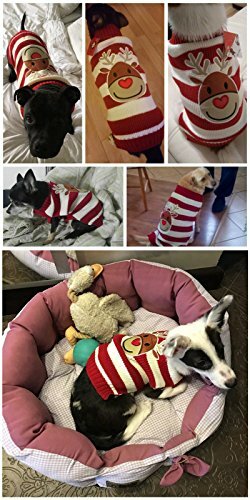 Let’s buy some Christmas sweaters for dogs! 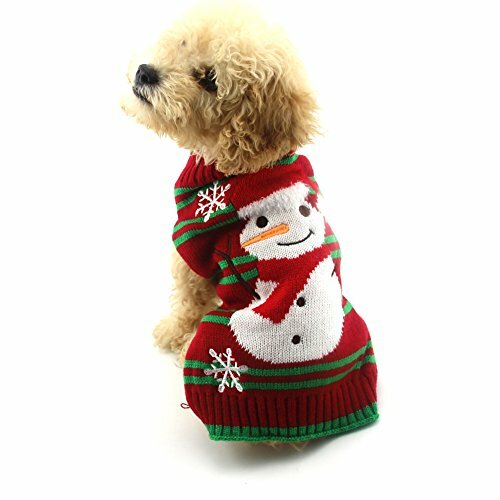 Before you buy, here are a few of the things you will want to consider about any new Christmas sweater for that holiday pooch in your life. Purpose/Style. Let’s start off with purpose. 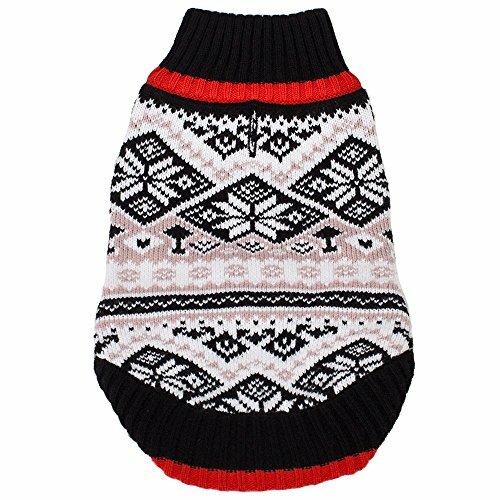 What occasion is your dog wearing the sweater for? 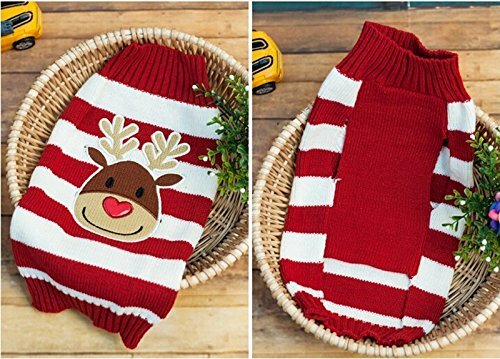 Do you want a funny snowman sweater or a nice knitted sweater for a classy holiday dinner party? Maybe you’re buying a sweater just for the holiday photos? 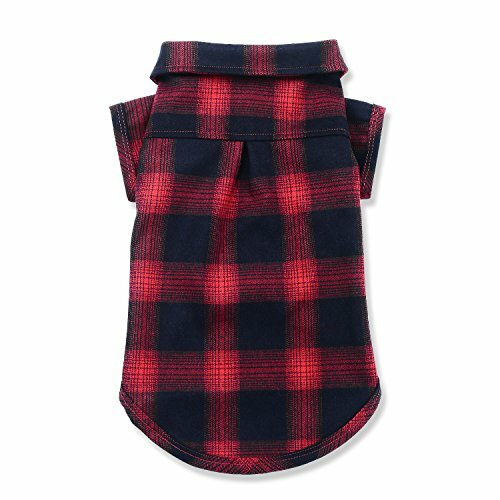 Does it have to match the dog’s personality or leather collar color? 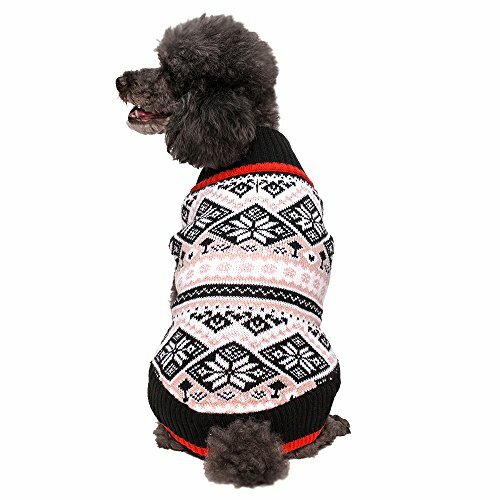 Knowing the purpose/main usage of the dog sweater will help you make the right purchase. 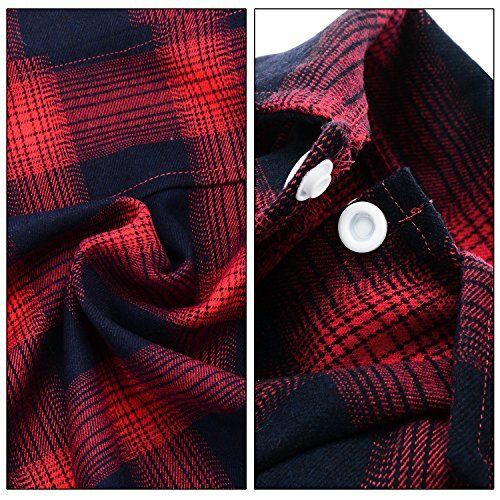 While the general function is similar between sweaters (they are all sweaters, after all), there are differences between sweater details. Some have leg holes while others have opened bottoms for easy on and off over the head only. 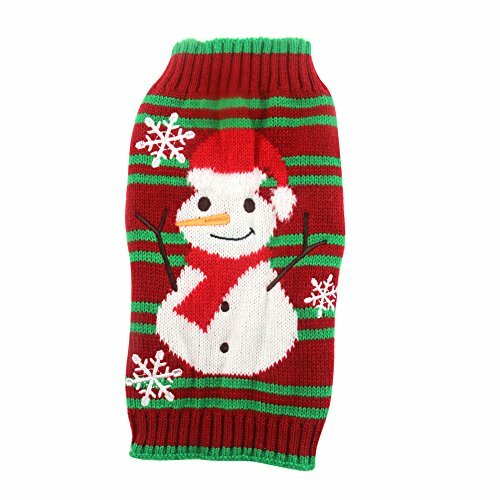 Some are mainly just to cover the chest while some fit long down to the tail for full festive dog coverage. 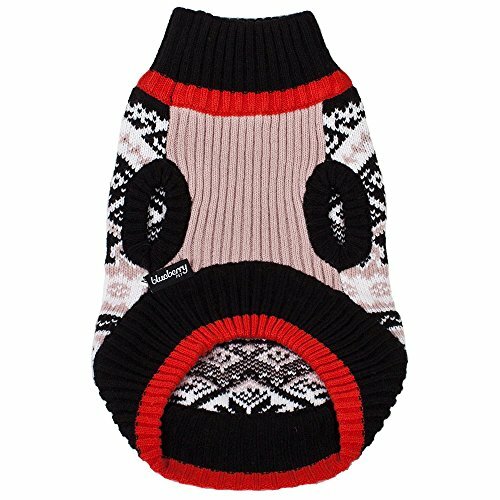 Some have hoods – and these can be great or awful depending on what your dog likes! All things to consider! 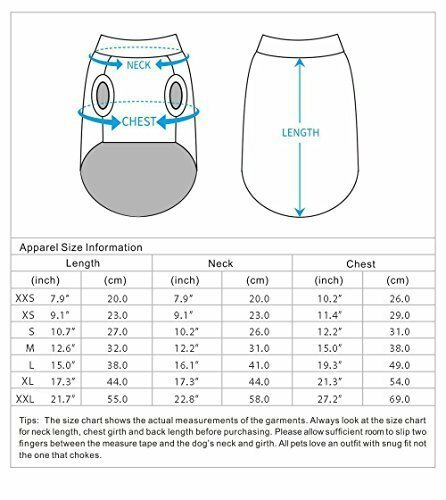 Size/Fit: Obviously, the fit of the sweater is going to be very important. 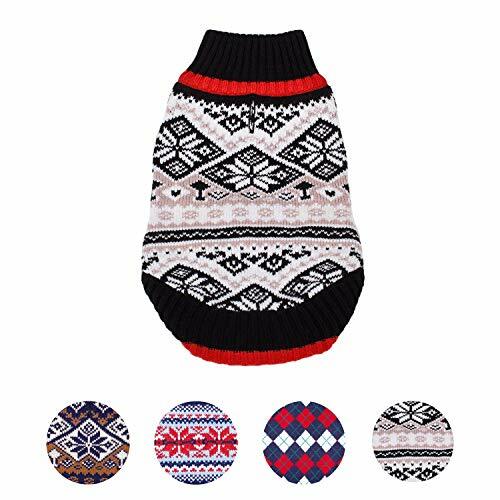 You don’t want a sweater that is too tight or else you might make your pooch uncomfortable with restricted movement, breathing, and potential overheating. 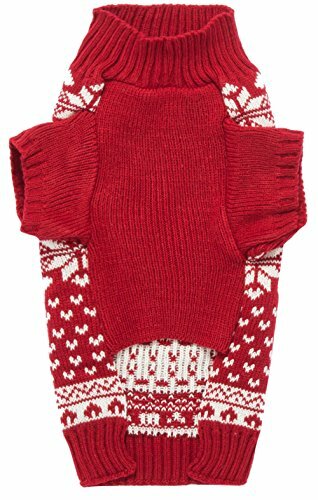 Too large and the sweater can get caught in things around the house or even trip them up if the sweater slouches into the paw area. 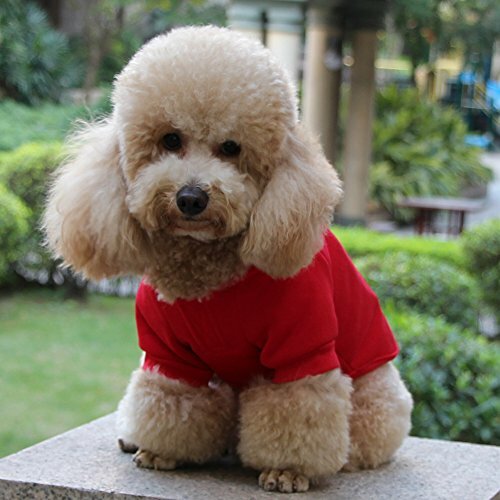 Admittedly, it’s easier to buy sweaters for smaller dogs simply because they require less material, are less expensive, and can be easier to put on (definitely dog depending). 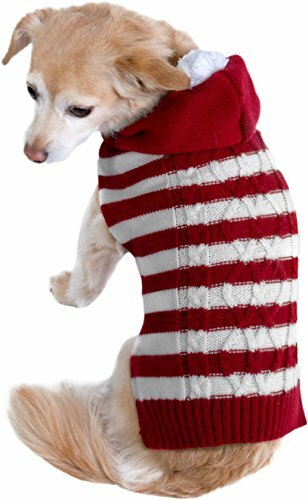 In any case, you can find a sweater for any size of dog if you look hard enough. 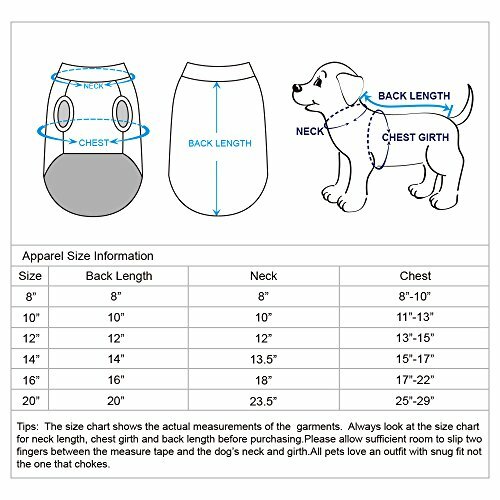 Generally, you’ll know the rough size of you dog and most sweaters have a sizing chart but don’t be afraid to measure your dog. No, seriously. 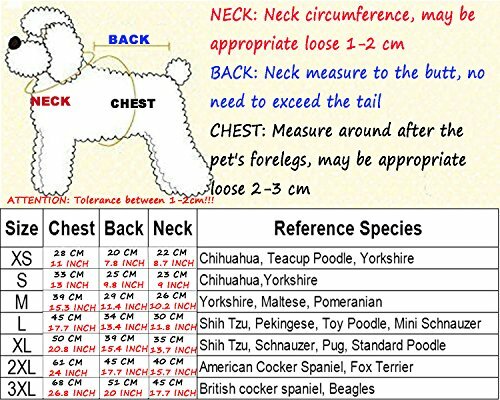 Take a tape measure and measure the dog if you are unsure. 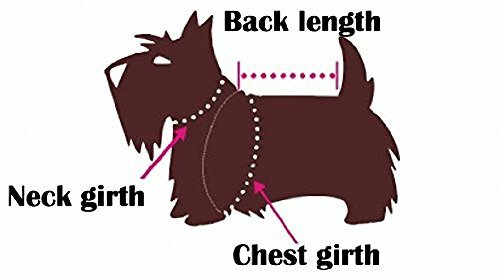 Usually it’s back length, neck girth, and belly circumference that are important. Material. What the sweater is made out of is very important. This will also influence how hot your dog gets. Is it comfortable? 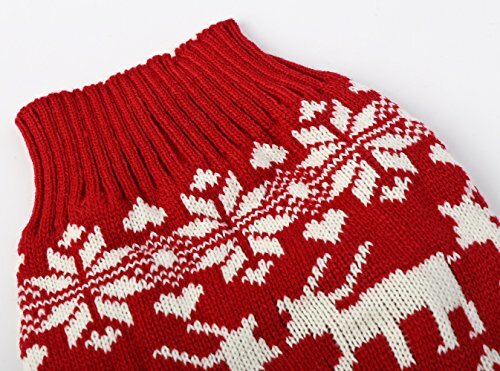 Is the knitting large or small – easy for a dog to get teeth into and shred apart? 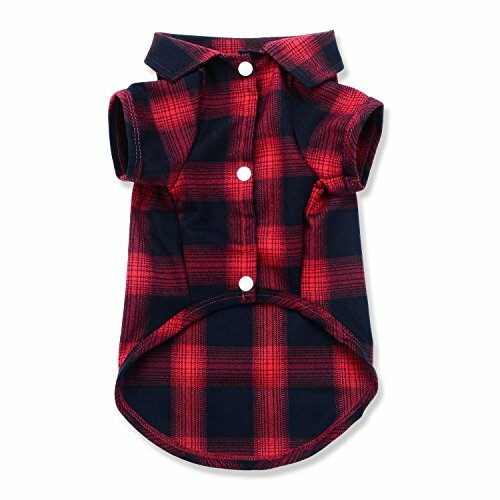 Does your dog even like the material to want to wear it without causing the dog stress? 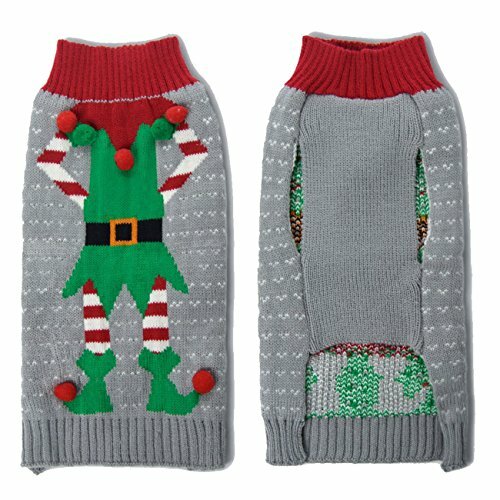 Sweaters are only funny and functional if your dog is still a happy, festive dog! Price/Quality. 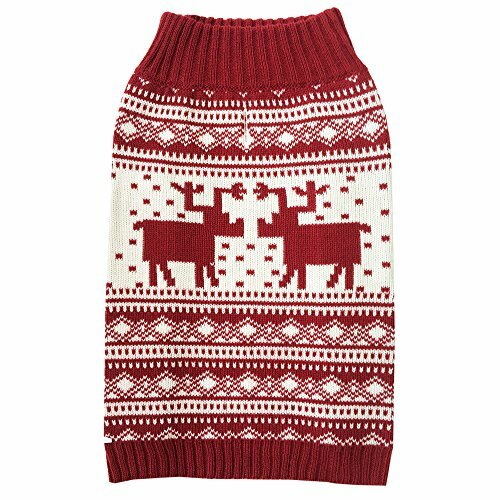 Price can be an important factor when buying a Christmas sweater for a dog. 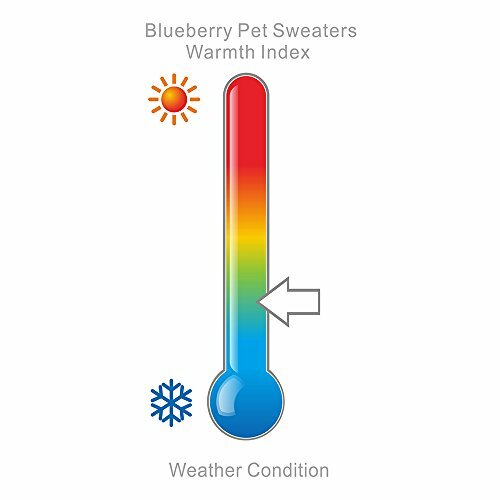 You kind of have to know your dog to know how they will react to a sweater. 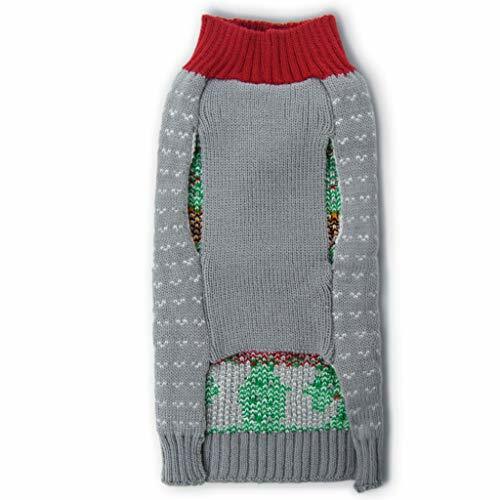 For example, if it’s just for a few laughs and you KNOW your dog is going to shred the sweater apart in a few hours, maybe don’t buy a crazy expensive sweater. 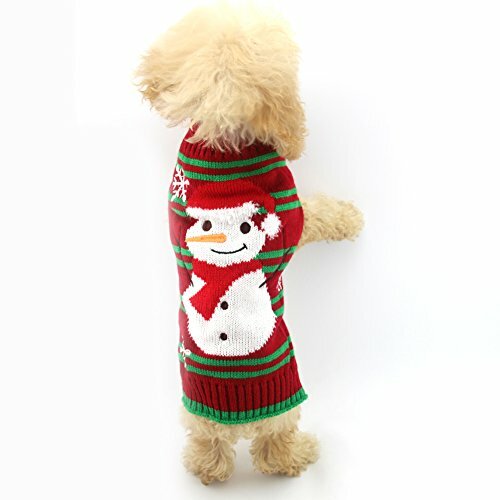 That said, quality sweaters that can be worn year after year (assuming your dog doesn’t eat it) can be more expensive. 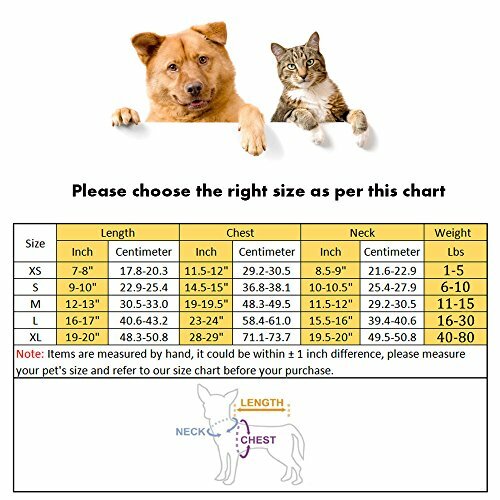 It really depends on the brand, overall quality, and size of the dog! 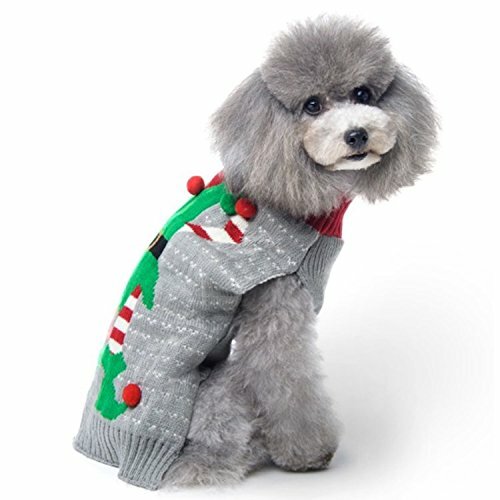 Below, you’ll find nine of the best Christmas sweaters for dogs for this holiday season. 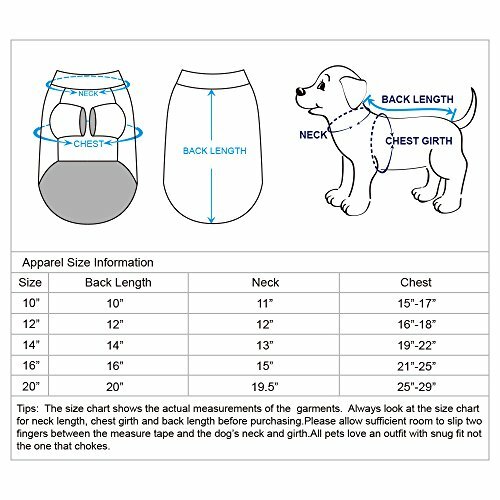 There are lots of different styles, fits, patterns, and designs so be sure to have a good look and think about what might work best for the dog you are buying for. 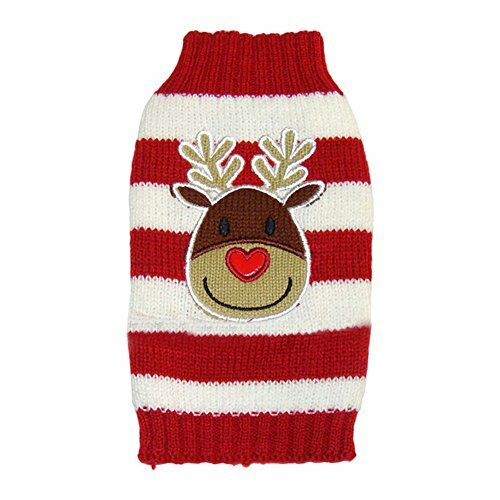 Keep in mind, some designs are only to fit smaller dogs but large dogs are sure to get a great sweater, too! Starting off strong with this classic hooded pom pom look! 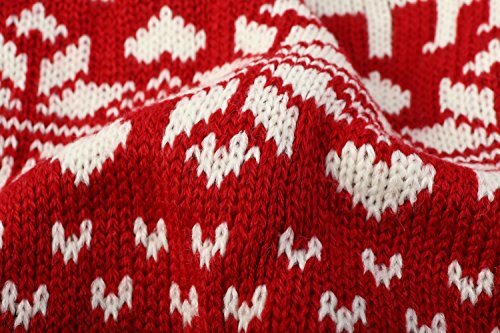 The red and white holiday colors are simple and the knitted design is festive enough for any gathering. It’s easy to take on and off, made from acrylic material, and hand-washable! If you are looking for a classic pattern and color – look no further. 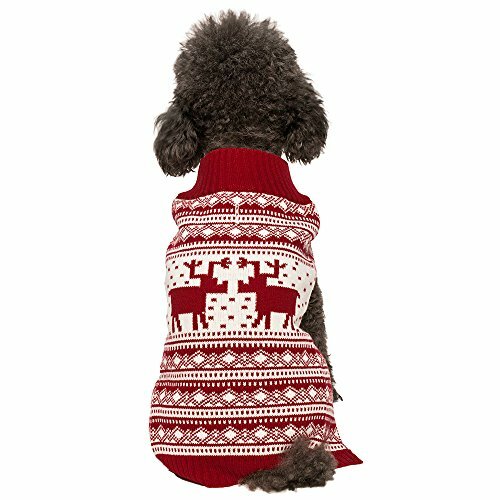 The red stitched look with reindeer is a timeless classic print that is sure to get your dog into the festive season spirit. 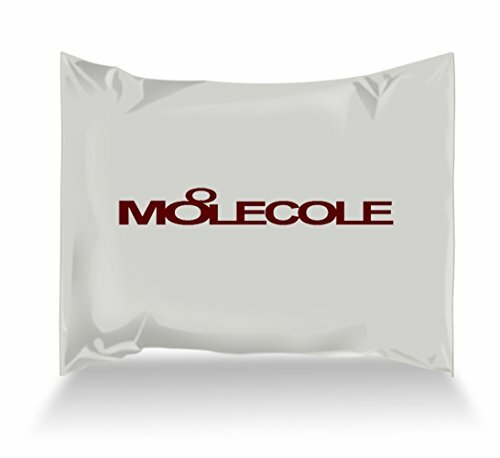 This sweater is made of a soft acrylic material, has a great turtleneck look, and even has a hole in the top for a leach. 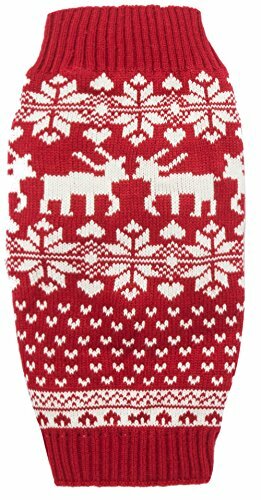 This sweater makes a great gift because there is also the same patterned human Christmas sweater available to match! Ah yes, the classic elf design. 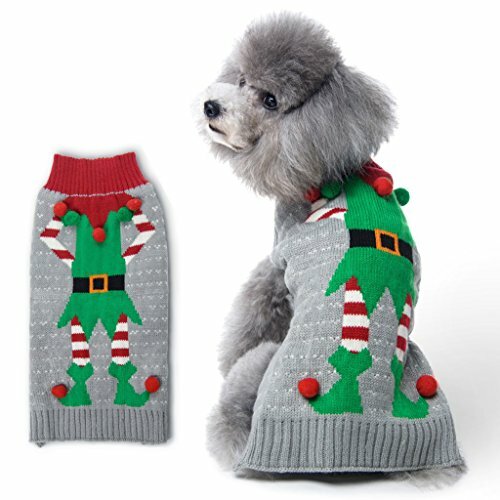 Nothing says “Christmas is here” like dressing up your dog as one of Santa’s elves. 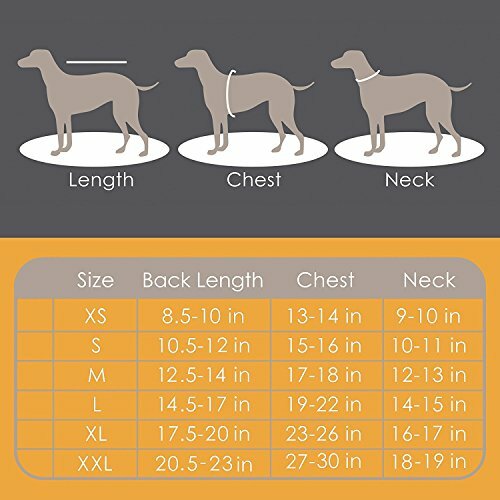 The material itself is quite stretchy so it could be a good sweater if your dog falls in between sizes. 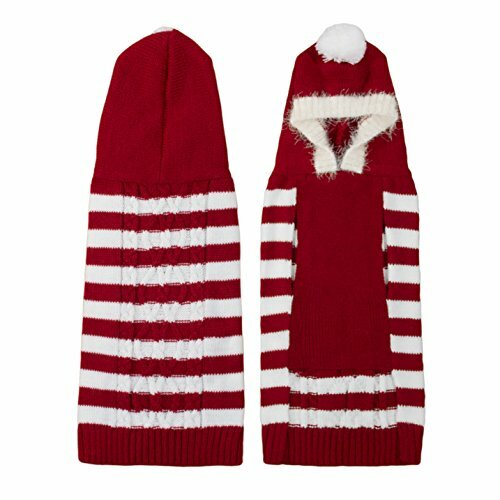 This one even has great details like raised pom poms – but if your dog is a nibbler, maybe these aren’t a great idea to have! 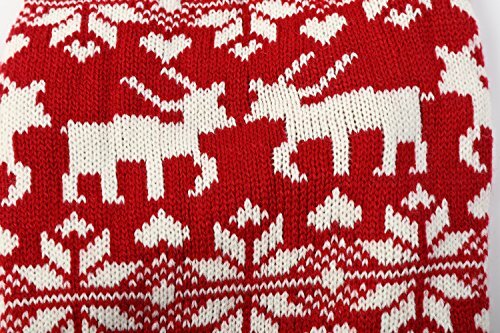 Another classic design: the knitted reindeer. 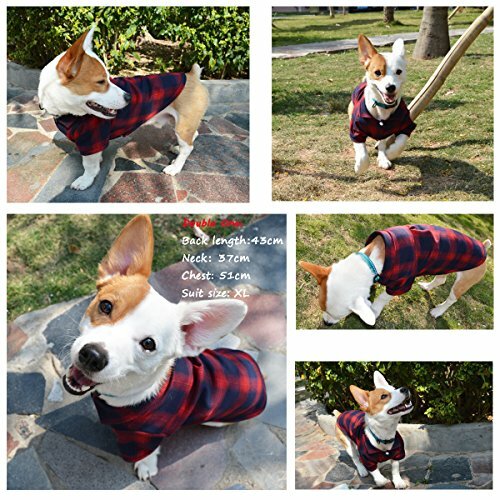 This is a simple sweater with no bells and whistles – but that might be good if the intended pooch doesn’t like hoods or is likely to bite off any sewn-on details. 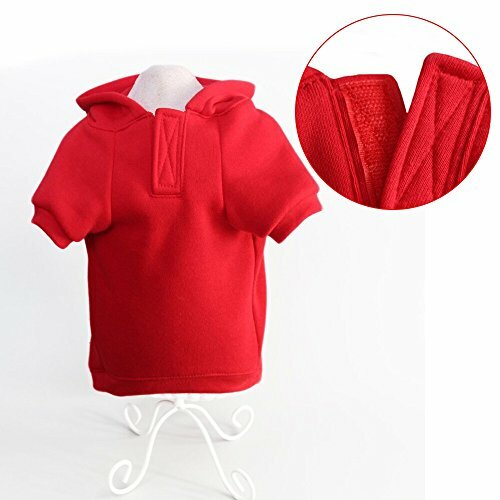 Made from acrylic, the material is very soft so if should please you furry friend and keep them warm, too! Also, it’s machine washable which is nice. 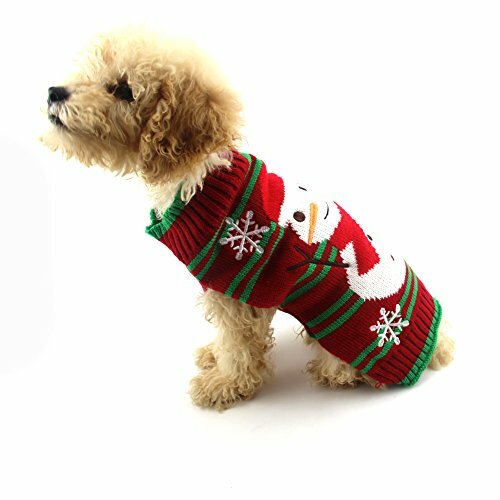 For that great “Frosty the Snowman” kind of look, consider a red and green sweater with a cute snowman on top. The stitching on this one is great quality and the detail of the pattern and snowflakes are a nice touch. 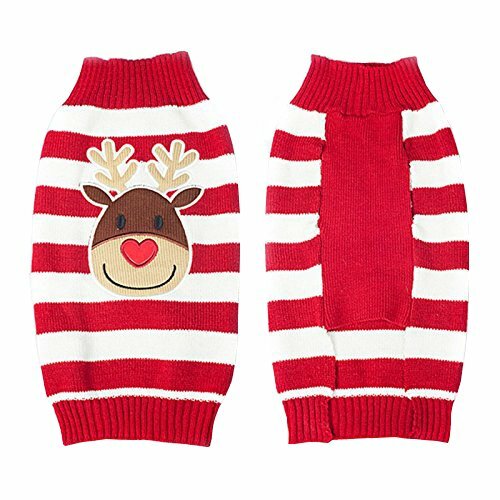 This sweater comes in many sizes and is slightly flexible as well – great for a stubborn dog who isn’t feeling the holidays just yet! Do you love a well-made sweater? Then this one is for you and your dog. 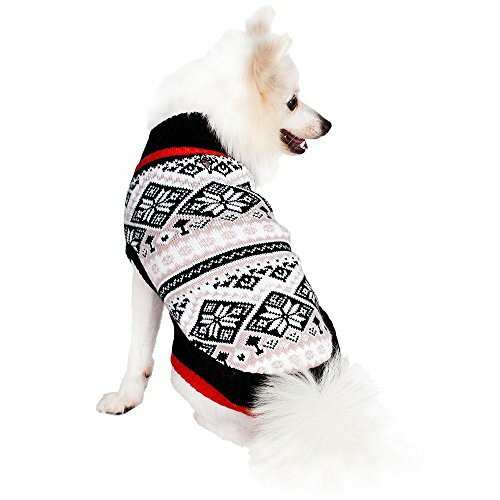 The Nordic snowflake pattern is a great design and the raised collar makes any dog look a little more classy for those holiday parties. Made from a non-stretchy acrylic fiber, this sweater will maintain its shape more so it’s important to get the sizing right when you order. That said, it’s machine washable with like colors so that makes life a little more simple! 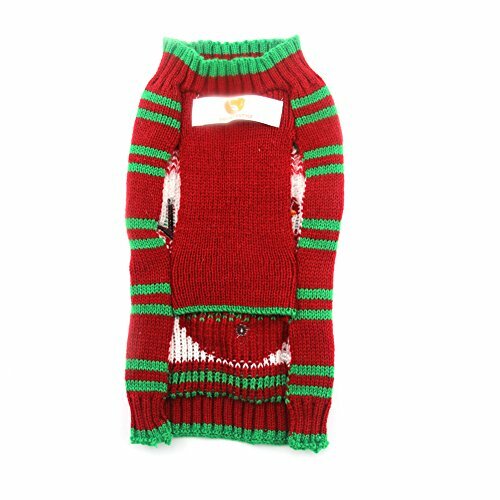 This sweater is a mix of that adorable Christmas look with a nice warm sweater for your dog. 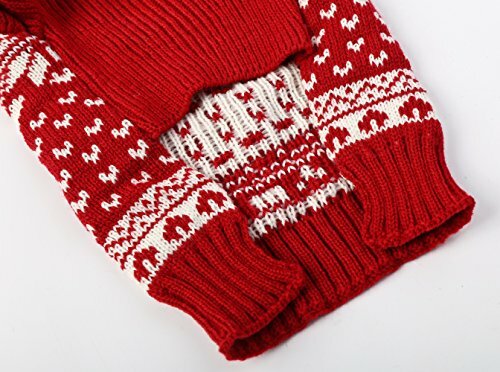 The top and bottom are elastic close so they keep in the heat – making the sweater functionally warm. 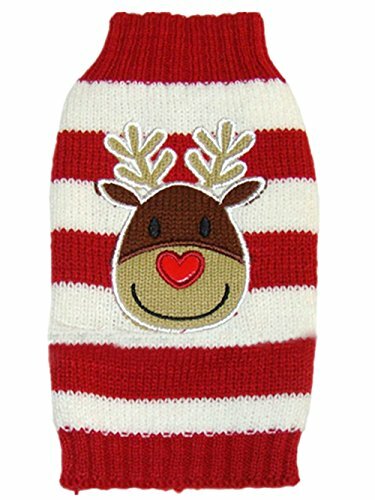 Made from a knitted blend material, the sweater is topped off with an adorable reindeer with a heart for a nose. Definitely a sweater on the “cute” side of things! 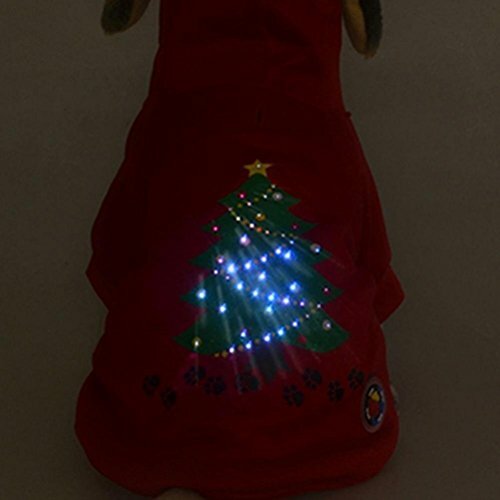 Do you want your dog in a Christmas sweater that ACTUALLY lights up? Well, here is the sweater for you then! 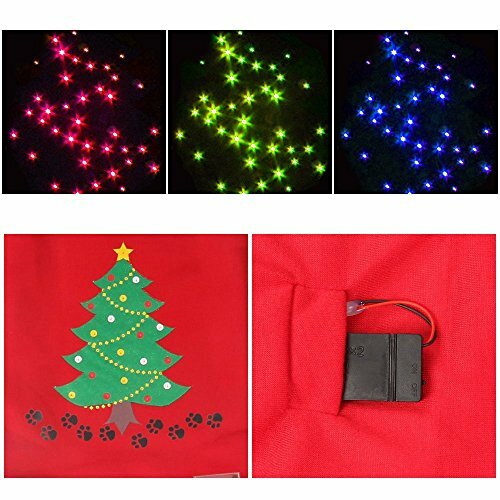 Made from a stretchy polyester blend, the sweater has small LED lights that can be controlled with a switch in the hood. The sweater is not only hilarious but warm as well. 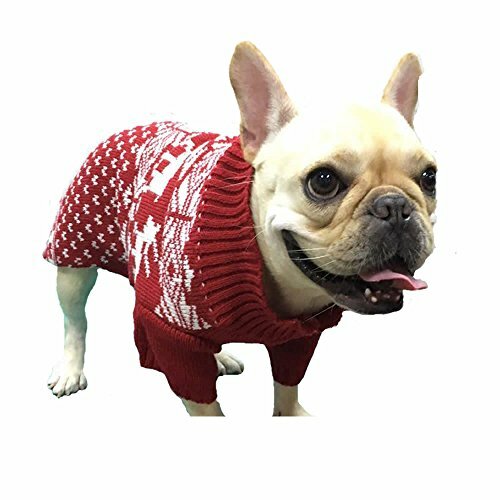 Want any dog to be the talk of the holiday party? 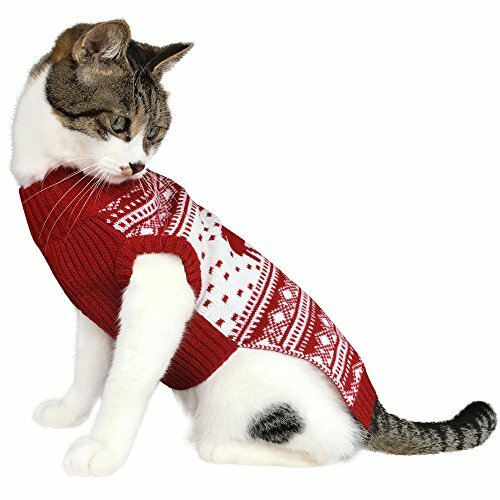 Buy this sweater – it also makes a GREAT gift! 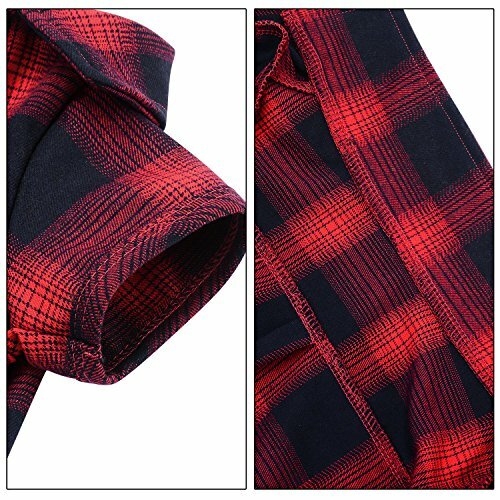 Back to the basics with this simple yet elegant plaid design. If you have a classier gathering coming to your house, consider a design that says “my dog is a classy dog”. 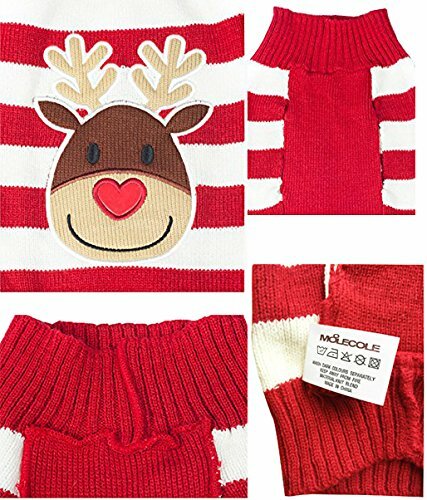 Also good if your dog wants to be in festive colors but maintain the hipster appeal for your guests and the other dogs! 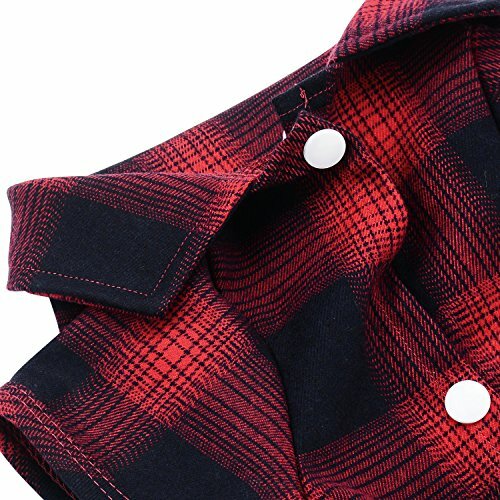 The sweater has adorable little buttons, too. This one is too much awesomeness rolled into one. Honestly. 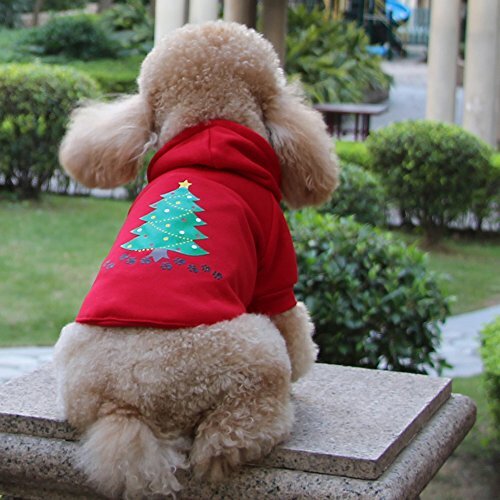 And there you have it – some of the best dog Christmas sweaters for the holiday season. Honestly, we love all of them – but it’s obviously not necessary to buy more than one… or is it?! Which ones do you like the best? Which ones would your dog love? 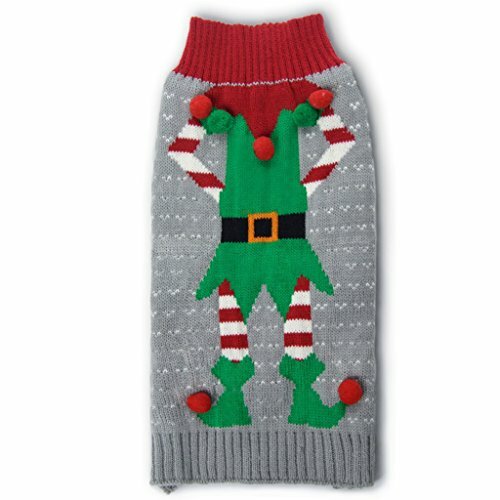 Let us know on Twitter @boardandlife and send us a photo if your dog gets a great holiday sweater!